Founded in 2017 by the rapper Ice Cube and entertainment executive Jeff Kwatinetz, the BIG 3 League is a 3-on-3 basketball league with unique rules and plenty of former NBA superstars who offer great fun to the audience playing in eight different teams. The inaugural 2017 season was a big success watched by thousands of people across the United States, as each of the ten rounds were held in a different city with the Championship Game played in Las Vegas on August 26th, 2017. Contested by eight teams that play against each other one time per season, the BIG 3 League has two additional weeks after which the top four teams enter the playoffs starting from the semifinals games. The Trilogy won the very first BIG 3 Championship completing the perfect season led by the former one-time All-Star Kenyon Martin, while the one-time NBA champions Rashard Lewis won the MVP Award. 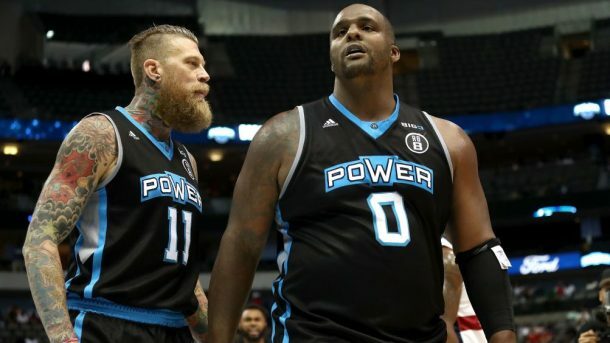 The rules in the BIG 3 League are pretty similar to those from the FIBA-sanctioned 3-on-3 basketball games, but there are still some significant differences. The games are traditionally played on a half-court with two and three-point shots, while the unique thing about the BIG 3 League are the four-point zones, stationed 30 feet away from the basket. The shot clock runs 14 seconds and the team must score 50 points or more and has to lead by at least two points to win the game, so there is no time limit that ends the game. Traditionally, when one team scores, the other one takes the possession of the ball, while defensive rebounds must be cleared behind the three-point line if the ball touched the rim. Wagering on the BIG 3 games is so easy, as the bettors can pick up the odds on the money line, spread, and total of points in a single game. The odds are available on 5Dimes Sportsbook, so let’s take a closer look at the 2018 BIG 3 Championship Game between the Power and the 3’s Company and see what can the bettors expect here. Also, we’ll do some betting analysis for the 2018 BIG 3 Consolation Game where the 3 Headed Monster meets the Tri-State. The No. 1 seed Power lost just one game throughout the regular season, and it was in the third week against the Tri-State 50-46, although Corey Maggette scored 32 points. Maggette is a true leader of this Power team, averaging 16.9 points and 3.1 assists per game, but he also gets the support from some excellent players such as Cuttino Mobley, Quentin Richardson, Glen “Big Baby” Davis, and Chris Andersen. The Power won six consecutive games including the Semi-Finals victory over the Tri-State 51-49 for a sweet revenge, and they are -180 favorites to win the championship game for a reason, having a quite balanced team. On the other side, the 3’s Company finished third in the regular season with a 5-3 record, but they were impressive in the Semi-Finals, beating the No. 2 seed the 3 Headed Monsters 50-28 on the back of Andre Emmet’s terrific performance. Emmet nailed 25 points including one four-point shot, while he averaged 16.1 points during the season. Dahntay Jones could be the X-factor for the 3’s Company after nailing 11 points in the previous game, whilst Drew Gooden and Jason Maxiell will need to cope with Glen Davis and Chris Andersen in the paint. If they find the range, the 3’s Company will have a chance to upset the odds and beat the Power, but it will be a mountain to climb, for sure. Corey Maggette is playing in a tremendous form, and Glen Davis is a great weapon around the rim. In the second week of the regular season, the Power outplayed the 3’s Company 50-44, and I think they will win again in the final game. Led by Reggie Evans who averaged 15.5 points and 10.3 rebounds per game, the 3 Headed Monsters earned the No. 2 seed with a 7-1 record, but they couldn’t past the 3’s company in the Semi-Finals, losing heavily 50-28. They will need to recover from this debacle and face-off the No. 4 seed Tri-State that mostly rely on a six-time NBA All-Star Jermaine O’Neal and a former dunk contest winner Nate Robinson. In their regular-season meeting, the 3 Headed Monsters won the tight game 50-48, although the Tri-State had a 25-17 lead at the halftime. The bettors can expect another thrilling game, as no one would like to finish fourth in this competition.